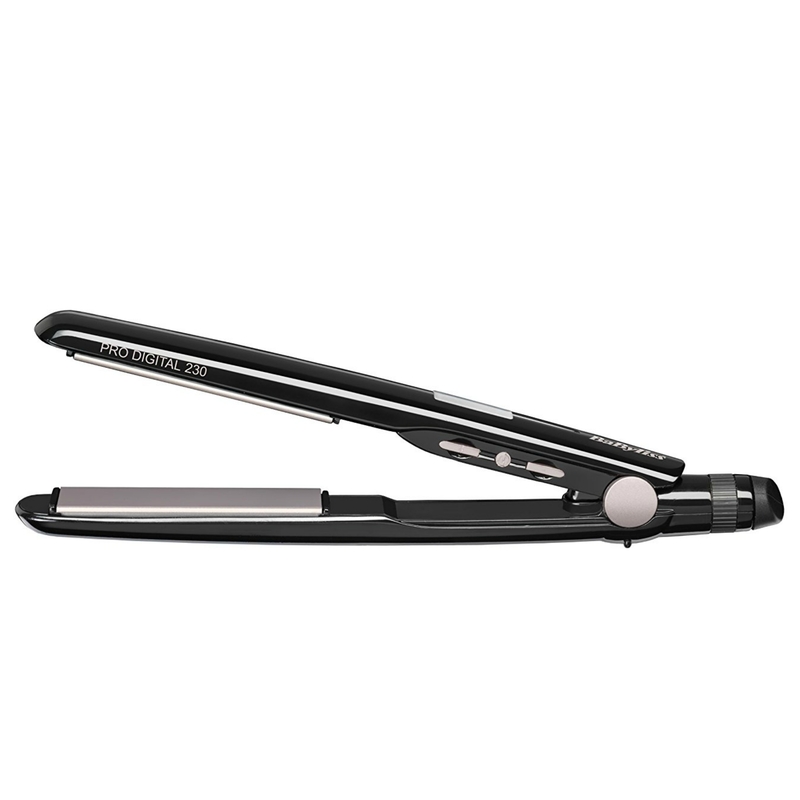 Wear your hair straight, curly or wavy with the BaByliss Pro Digital 230 straightener reaches up to 230°C for salon performance and is ready to use in just 45 seconds. The slim nano-ceramic plates glide through the hair for a smooth, shiny finish. It has variable heat settings, suitable for different hair types to give total control.Nano-Ceramic plates and fast heat-up for professional styling capability The one-inch slim nano-ceramic floating plates glide through the hair without snagging for a beautiful smooth, shiny finish. The Pro Digital 230 offers fast heat-up so you can start straightening and styling in just 45 seconds. It also has a 2.2metre swivel cord to ensure easy mobility whilst styling and prevents cord tangles.Create flicks, waves and curls with the Pro Digital 230While the Pro Digital 230 is perfect for straightening, it can do so much more. 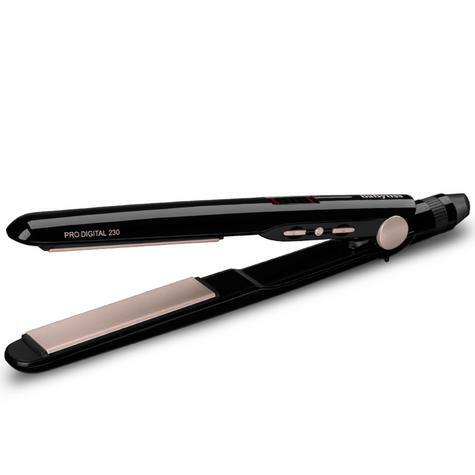 Along with straightening, you can also add curls, waves and movement to styles, thanks to the curved housing design of the straightener.5 digitally controlled heat settings for every hair type With 5 digital heat settings, the Pro Digital 230 adjusts to the perfect temperature at the push of a button. Use the lower settings for fine or coloured hair. For thicker, coarser hair, use the higher setting. Available temperatures of 230?C, 200?C, 180?C, 160?C and 140?C. 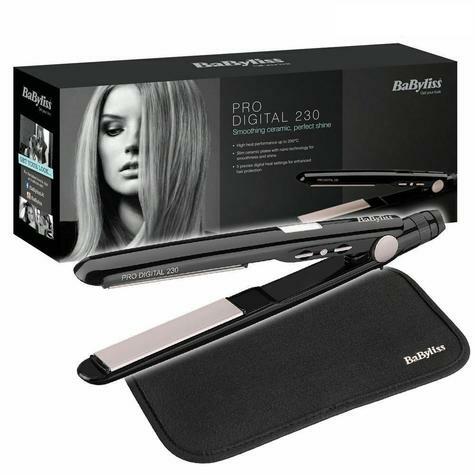 Total convenience, anywhere in the worldAlong with being multi-voltage for worldwide use, the Pro Digital 230 comes with a heat protection mat for added safety. 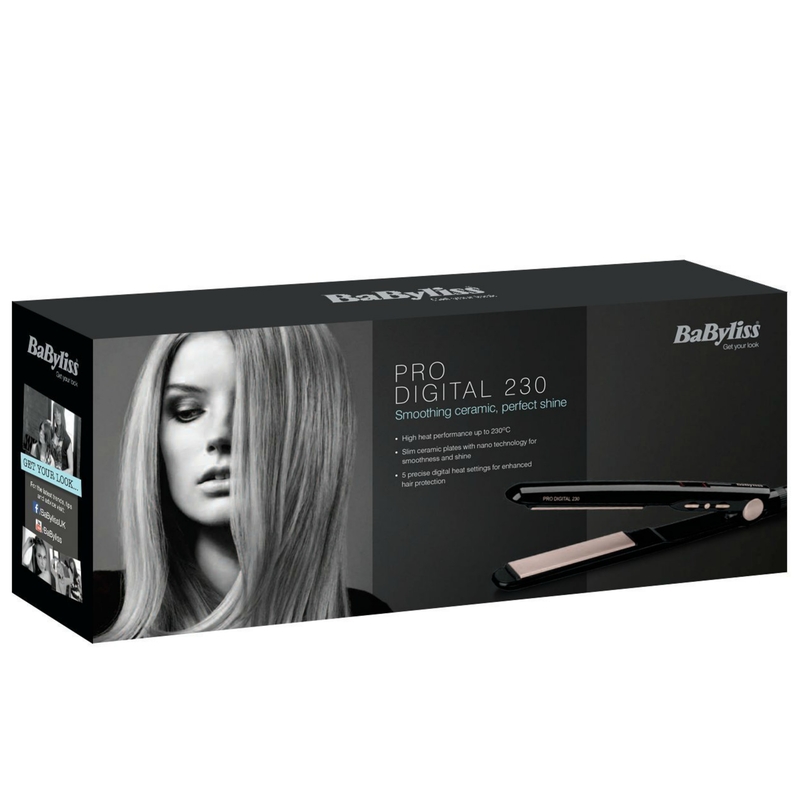 It also has an on/off switch with an indicator light so it is easy to tell when the appliance is switched on.Three-year guarantee for beauty that lastsAs with all BaByliss products, the Pro Digital 230 is designed to last. With a three-year guarantee from BaByliss, you can feel completely confident buying it for yourself or as a gift for someone else. Note: All electrical Items are UK spec (UK Standard 3-Pin plug, 220-240v) unless otherwise stated . International buyers will need an Adapter to use in their country. Floating plate for even pressure. NORETURNS POSSIBLE UNDER ANY CONDITION DUE TO THIS ITEM IS CLASSIFIED ASHYGIENE ITEM AND CAN NOT BE RESOLD AFTER USE. 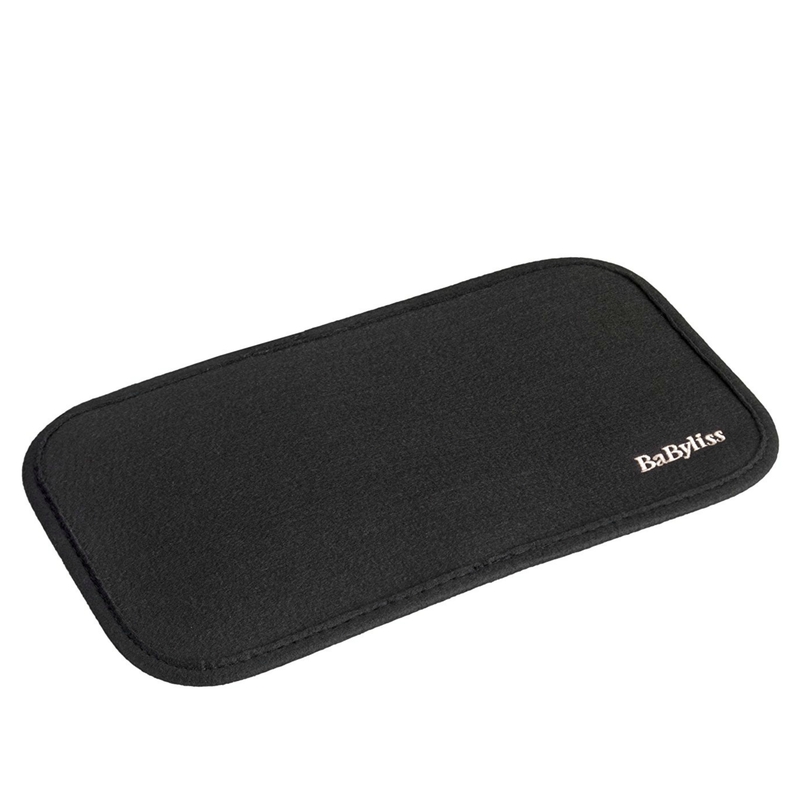 Buy with Confidence from a Babyliss Authorised Dealer and All Purchases come with a VAT Receipt.